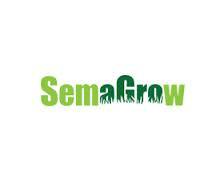 SemaGrow is an European three-years project with the objective to discover possibilities to handle big data in agriculture. The SemaGrow consortium seeks to develop techniques for distributed Web queries, data and metadata mapping as well as methodologies for scaling up to extremely large data volumes and real time performances. Realistic ideas for possible deployments: this is actually taking the form of operational service prototypes that real users will test during controlled trials, together with prototype integration with an already deployed data infrastructure. FAO holds the role of a data, demonstration and pilot partner of the project, implementing a reactive data analysis use case. Inter alia FAO contributes to the project with the AGRIS database that serves as a demonstrator of the technical developments within SemaGrow. The second project period of SemaGrow has ended at the 31st of October 2014. This is a small wrap up of the first achievements from the AGRIS Use Case that was developed in collaboration between FAO and SemaGrow: The SemaGrow demonstrator for the AGRIS use case with its two backend components (AgroTagger and Web Crawler) was delivered by the FAO. The Web Crawler is a tool to search the web in order to find bibliographic data, texts, articles etc on agriculture. AgroTagger is an automatic keyword extractor, that was trained by FAO. It will automatically connect the results of the web crawler with the corresponding AGROVOC keywords in form of RDF-triples. Afterwards the connection between the agricultural resources and their keywords can be stored in a triple store that is called the “crawler database”. This database can be queried by AGRIS. The two backend components of the SemaGrow demonstrator were presented in a webinar by FAO and tested by the participants and other interested professionals. The next step will be the combination of the AGRIS database with the “crawler database”. Afterwards a widget can be created that will use pre-defined SPARQL queries to combine an AGRIS record with data from the SemaGrow triple store. The SemaGrow project provides the infrastructure and the computing power for these processes. 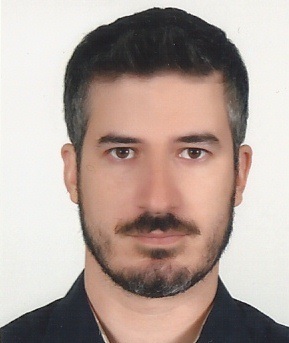 Nikolaos Marianos is the Project Management Director at Agro-Know and in the context of SemaGrow he is the main Project Manager (PMP certified) of AK and this later capacity we asked him (and jointly with Fabrizio Celli) for more insight on the developments and achievements delivered by the SemaGrow project. The responses dovetail with the leading article of this newsletter. Read the interview "Reflecting on the SemaGrow Achievements and the Project highlights " found in the AIMS Interviews section.